TJ Dillashaw’s attempt to drop down to 125-pound and become a UFC’s two division champion didn’t gone well. Reigning flyweight kingpin Henry Cejudo knockout Dillashaw in the main headliner of UFC on ESPN+ 1 in just 32 seconds of the very first round. The end result was disastrous as TJ Dillashaw claimed the fight was stolen and blamed the referee Kevin MacDonald for an unfair stoppage. Even UFC head honcho Dana White also sides Dillashaw in his decision. Dillashaw really went too far when he said he’d defeat Henry Cejudo “99 out of 100 times” in Ariel Helwani’s MMA show. “Viper” later called Cejudo’s victory “a fluke”, but Henry offered an epic response. Dominick Cruz continued attacking TJ Dillashaw, advising him to move on. 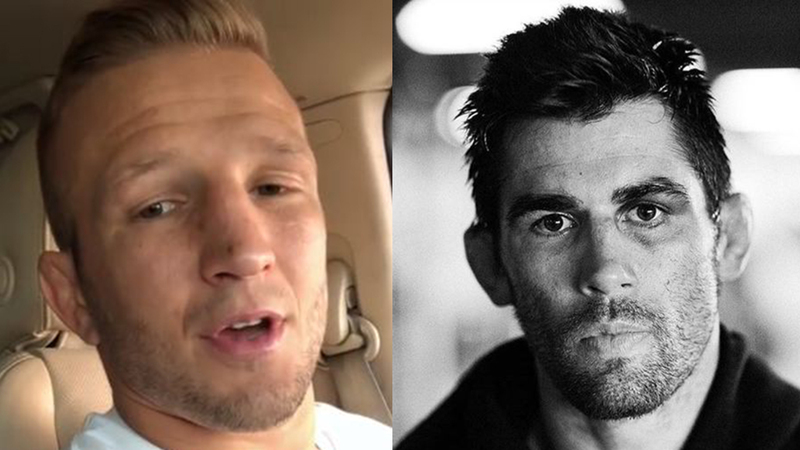 Do you think Dominick Cruz criticizes TJ Dillashaw for a good reason?